Whether you are a first-time dog owner or adding another furry addition to your family, this new puppy guide will help you ensure a smooth and safe introduction. Bringing home a puppy is an exciting time for the entire family, including your newest fur member! One of the best things you can do to ensure a smooth and safe introduction is to prepare BEFORE you bring your new pup home. Once the pup arrives, you will have your work cut out for you. The last thing you'll want to do is run to the store for supplies and puppy-proof your house after the pup arrives. The more prepared you are, the easier it will be for your puppy to adjust to his new forever home. This new puppy guide will help you puppy-proof your home, prepare your family and learn about must-have supplies. If you have never had a puppy before, bringing your pup home for the first time can be a BIG adjustment. Puppies are curious and ready to explore. Before your pup walks through the door, take some time to puppy proof your house. 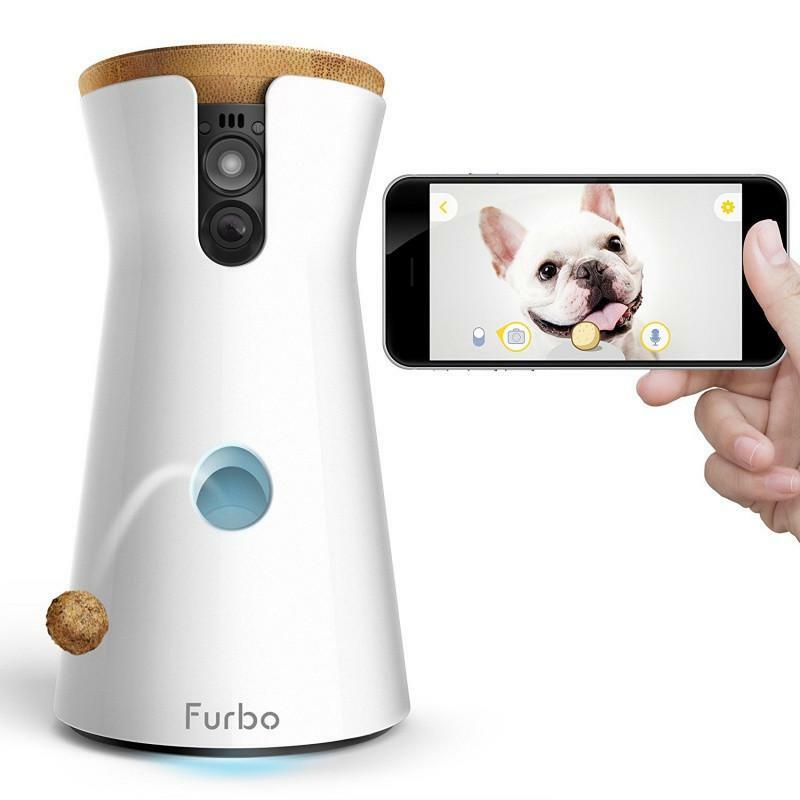 Much like baby proofing your home, you are creating an environment to keep your pup safe and happy. Place child locks on all of the lower cabinets in your house. This includes the bathroom as well. Puppies are very good at nudging doors open with their little nose. Just think about what you have in your cabinets. Cleaning supplies, sharp objects, plastic bags. Your new puppy doesn't know the difference between bad and good and therefore, will most likely try to eat it. For example: Be especially careful with dishwasher and laundry pacs. These tiny pods of concentrated detergent can pose a real danger if your puppy decides to eat one. Remove anything from the floor that your pup could chew. It sounds silly, but before I brought home my dachshund, Rocket, I got down on the floor to his level and crawled around the house. Grab anything that looks tempting to chew. Remember, puppies are chewing machines so when in doubt, pick it up. If you have never had a puppy before, you wouldn't think to keep power cords and wires out of reach, but puppies love to chew on these. Socks, clothing, pillows, shoes, items under your bed…all of these should be picked up. Secure anything that can topple over. This includes tv's, books, lamps, plants, etc. Make sure that your puppy won't be able to knock over the trash cans or climb inside. When I brought Rocket home 10 years ago, I was big into sewing. One day, I left my pin cushion on a small table and Rocket was able to reach it. The cushion was filled with pins. When I came home from work, there were pins everywhere and the pin cushion had been torn to shreds. I rushed him to the vet and thankfully he didn't eat any pins. He saw the cushion as a toy, removed the pins and played with it. This could have ended very badly, so moral of the story – they will get into everything! Create an area in your house dedicated to the puppy. This will be the puppies safe zone. We all know that it is impossible to have all eyes on your new puppy at all times. An unattended pup can get into trouble in a matter of seconds so even a quick trip to the bathroom can be a disaster. Creating a safe space for your puppy to play and hang out will make your life easier. You can do this by getting baby or dog gates or buying a playpen. I bought a playpen for Rocket because I liked the idea of having space just for him without having to worry about him getting into trouble. Inside the playpen, include a training pad, water, a bed and some toys. You can also include his crate. I love the Carlson Convertible Pet Pen because it can be configured multiple ways and used indoors or outside. Even though your pup is secure in the playpen, make sure to keep an eye on him. If your house includes more than just yourself, sit down with your family and have a discussion about the new puppy before it comes home. Who will take on certain responsibilities like potty training, feedings or trips to the vet? Come up with a game plan for how you will train the pup as a family (remember, consistency is key). Come up with a set of commands you will all use the same way. For example: if one family member says “stay” and the other says “wait” and another says “hold”, the puppy will become very confused. If you have small children, instruct them to be gentle and calm when the new puppy arrives. Children should not pull, poke, squeeze, chase or lay on the puppy. In addition, it is also advisable that they don't disrupt the puppy while eating and be mindful of making loud noises as this can startle him. Look up reviews and ask for recommendations for a Veterinarian. Once you have decided on a Vet, have their number within reach as well as knowing where a 24-Hour Emergency Vet is located. Put these numbers on your phone. You should also have the ASPCA Animal Poison Control Center on your phone. Their number is (888) 426-4435. Below is a list of everything you need for your pup. I have included links for each product to offer as suggestions and help make the process easier. As always, it is important to do your own research and find which products work for you. Be sure to download our easy to read Puppy Supply Checklist at the end of this post. You can print it out and bring it with you to the store. There are a couple of different types of crates ranging from metal to plastic. I have always used metal crates as they are super durable and easy to clean. To make the interior comfy, put a cushy bed and blankets inside. When selecting a crate, your pup should be able to stand up, turn around and stretch out. They actually feel safer in smaller den-like spaces. It should be small but with enough room to be comfortable. If you want a crate that is easy to put in the car, a plastic kennel is a great choice. They are safe and have a handle to easily transport your pup around. Be sure to check the sizing for the best fit. Again, you have many different choices here. The ceramic bowls are probably the most fun but they are heavy and can break easily. I prefer the simple, stainless steel bowls . They are lightweight, easy to clean and won't break. When you bring your puppy home, he will not know where to relieve himself. Training pads will help you begin the process of house training. Pet gates are great to use if you have stairs in your house or if you want to keep your dog in one room. As I mentioned above, when Rocket was a puppy, I used a play pen to keep him confined to a small space. There are so many choices here. I didn't mention a harness because sometimes they can be tricky with puppies, but you may feel a harness is best. Any pet store will have a variety of leashes. I prefer Wildkai leashes because they are so small, lightweight and easy to carry around. While your pup explores the outdoors they will most likely roll in stink. Boy, can it smell really bad. Rocket was constantly getting a bath. You should look for one specifically for puppies . It's important to get your puppy used to things like brushing early on so that they don't develop a fear or give you a hard time. If you have a long-hair breed, find a brush specifically made for long hair. If your dog has short hair , brushing is still beneficial as it removes dead skin and loose hair. Again, you want to begin gently brushing as early as possible to get your pup used to having your fingers in their mouth. A dental kit is great because it has the toothbrush and finger brush included. If you decide to trim your pup's nails yourself, make sure you get a nail trimmer kit that includes styptic powder or purchase it separately. Dogs have veins in their nails and if you trim too far, they will bleed. The styptic powder will stop the bleeding. You can also use an electric pet nail grinder which reduces the risk of clipping the nails too short. Lots of them. Puppies are pooping machines! I'm a fan of Earth Rated bags . You don't necessarily need a bed right now. The crate with a nice pad or blanket on the inside should suffice. If you think your puppy won't chew it to shreds, then a bed can be a nice addition to the crate. I wouldn't spend a ton of money on one though, just in case he decides to make it his next meal! Your dog's favorite! There are many different toys to choose from. Keep in mind that you want toys appropriate to your puppies size. Toys are great because they keep your dog entertained and mentally stimulated. If you see that your pup is chewing on something he shouldn't be, try offering him a toy. It's a good idea to have a variety of toys from soft and squishy to mentally stimulating toys. 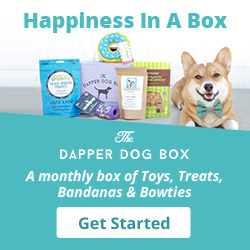 I highly recommend The Dapper Dog Box. It's a monthly box full of toys, treats and they even include bandanas and bowties to make your new pup look extra dashing! Most likely, your new pup will have a few accidents in the house before he is properly trained to go outside. Cleaning supplies that can eliminate tough odors will keep your carpet and floors virus and bacteria free. It's best to talk to your Vet, shelter or breeder for the recommended food. Most shelters and breeders will give you some puppy food to take home. Then, when you take your pup to its first Veterinary visit, you can discuss food options. My absolute favorite food is Acana for puppies and Pet Plate freshly cooked meals. While training your pup, you will most likely be using treats as a reward. It's best to find something small, low in calories, with no artificial flavors or colors. Additionally, while training Rocket, I paired the treats with a clicker for positive reinforcement. An ID tag will have your pup's name and contact info in case he escapes. 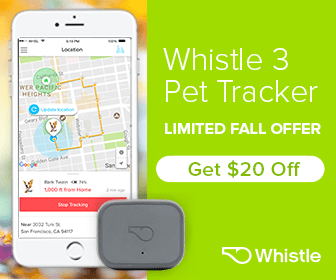 Additionally, a smart collar like the Whistle GPS Pet Tracker is a good choice because it will locate your pet down the street or 3,000 miles away if they ever get lost. You can put the blanket in the crate or use it while cuddling your puppy. I am a big fan of using baby blankets because they are a good size and very soft. Just be sure to keep an eye on them because puppies love to chew blankets! Towels dedicated to the pup are always great to have on hand. Use them to dry your puppy after a bath or put them in their crate if they are prone to chewing on blankets or dog beds. Whether you are adopting a puppy from a shelter or a reputable breeder, adding a pup to your life will bring you so much joy. Please let us know if you have any additional tips or suggestions to prepare for a new puppy in the comments below! *For the sake of consistency and readability, I used the masculine pronouns “he” and “his” but refer to male and female puppies both. Even before I came home with the puppy in hand, I had purchased myself a pet gate. I just don’t want the puppy to even attempt the stairs yet, that’s what really scared me actually, was the stairs. Not I think this is one of the first things you must do even before bringing the little guy home! While bringing home a new puppy can be a very exciting time for the whole family it is nice to have an article that goes over some of the things that you need to do to prepare first. I particularly like that you bring up the idea pd creating a safe area for your puppy to spend a lot of time in. The idea about using a playpen as the article suggests is especially nice as it will do a great job of keeping your puppy out of trouble. Hi Duncan! Yes, the playpen was a lifesaver for me when I brought home my dachshund puppy. It’s so hard to watch them all the time. They are so curious and mischievous! Thanks for reading!